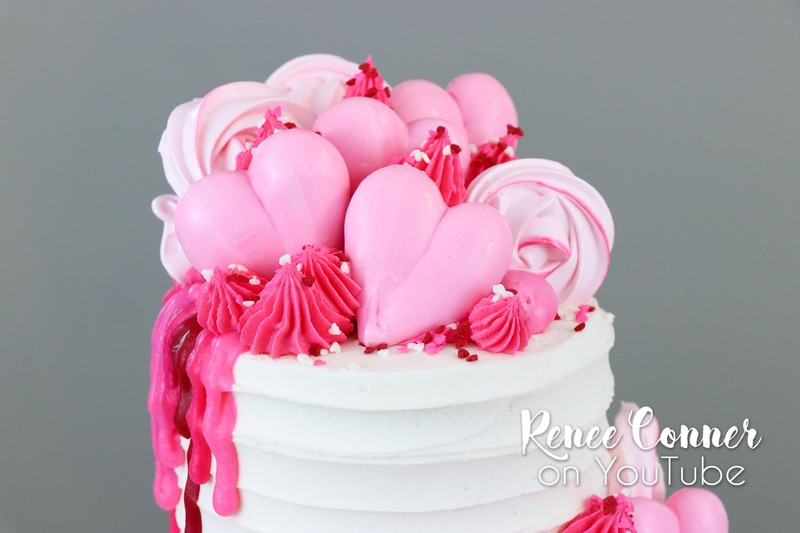 Valentine’s Day is coming up and this simple cake decorated with ganache drips, buttercream and sweet meringues is perfect for the sweet holiday! 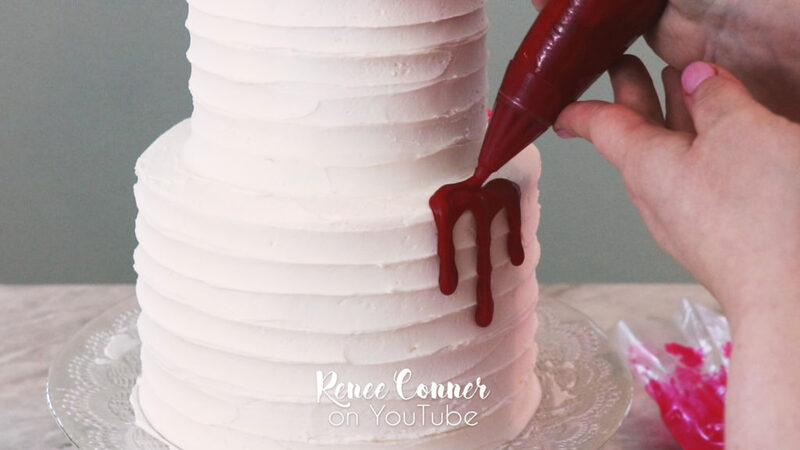 For this cake I wanted the decoration to be quick and easy and doable for anyone! Meringue cookies came to mind because they are really easy to make, are so pretty looking and of course are delicious. I made a variety of different shapes and sizes so I would have options when assembling the cake. 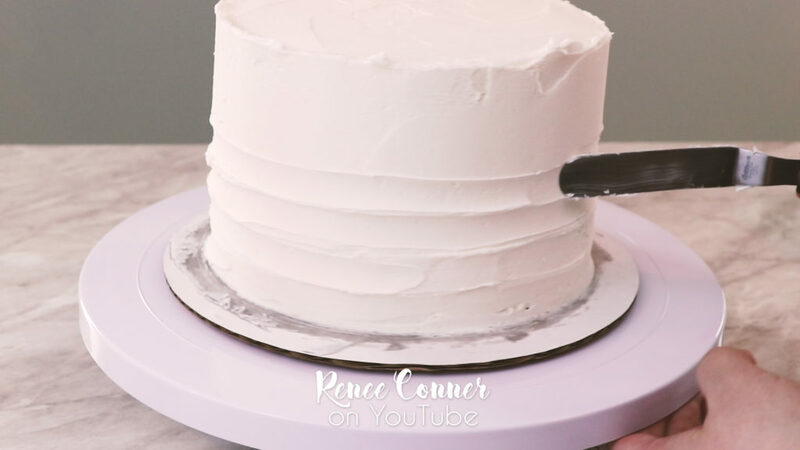 A simple rustic texture on the sides is a quick and easy way to finish off the buttercream coating! No expert smoothing techniques needed! 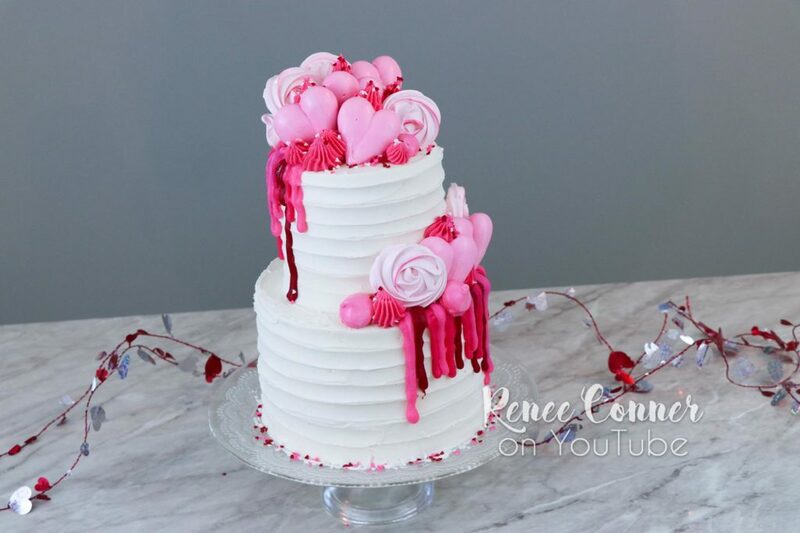 I used ganache drips to add a little extra decoration to the sides of the tiers (a 7″ round bottom tier and a 5″ round top tier). I love how this cake came out! 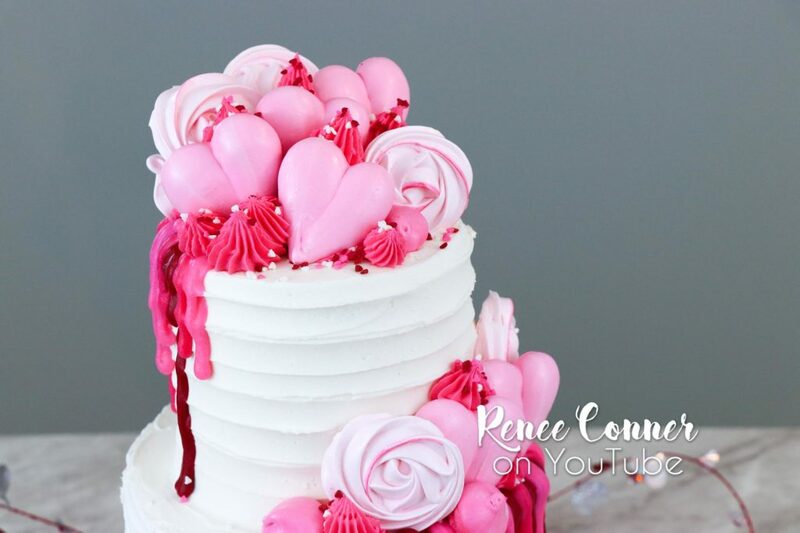 Video recipes that I used in this tutorial are linked below! *I made this chocolate flavor by adding 1/4 Cup melted (and slightly cooled) semi-sweet chocolate at the very end. In the bowl of a stand mixer whisk the egg whites to break them up. Add sugar and whisk to combine. Heat mixture over a double boiler (or bain marie), while whisking slowly, until sugar had dissolved. Remove from heat and add cream of tar tar (or lemon juice) and scrapings from vanilla bean pod, if using. Whip on high speed until stiff peaks form. Add any liquid flavorings and/or citrus zest if using. And gel coloring (if using) Mix another 30 seconds or so to thoroughly incorporate. Use a bit of meringue to attach a sheet of parchment to a baking sheet. 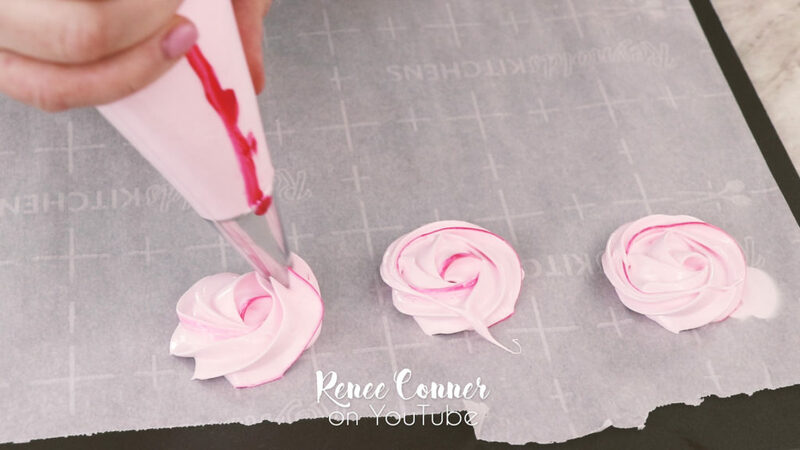 Pipe out meringues in desired shapes using assorted pastry tips. Stripe pastry bag with food coloring before hand for a colorful touch! 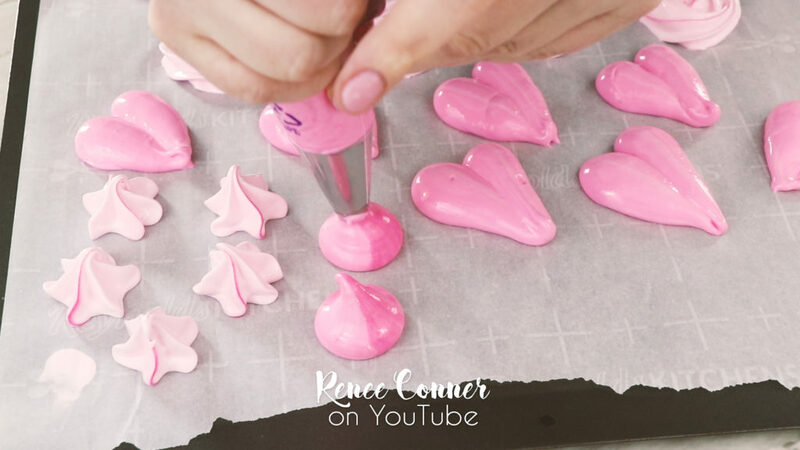 Meringues should be dry and easily remove from parchment when done… Turn off oven and allow to cool inside the oven completely. « Wyldstyle Oreos for Lego Movie 2! » Fortnite Battle Bus Cake!